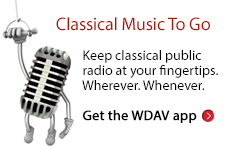 (Brevard, NC ) – John Candler, President and CEO of Brevard Music Center, has announced his upcoming retirement. He will continue to serve as president until the search for his replacement is successfully concluded and the position is filled. Candler joined the Music Center’s governing board in 1981 and has served as the Center’s first president with great distinction since 1993. A 2008 retirement announcement, in order to spend more time with his wife, was rescinded following the unexpected death of Linda Candler. John Candler remained President of the Music Center without interruption. The Executive Committee of the BMC Board of Trustees will conduct a national search to find a replacement. The Committee’s process will actively solicit input from the Center’s key constituencies of faculty, trustees, employees, volunteers, patrons, and supporters. Candler’s tenure has overseen the successful transition of artistic and instructional leadership, and has strengthened the organization’s financial framework. Keith Lockhart, a BMC alumnus and conductor of the famed Boston Pops, was appointed Artistic Advisor and Principal Conductor of the Music Center in 2007, the fourth to hold this position in the Center’s 73 year history. Candler has secured a strong endowment fund and significantly increased the net asset value of the Music Center, which completed fiscal year 2009 with a balanced budget for the 31st consecutive year. 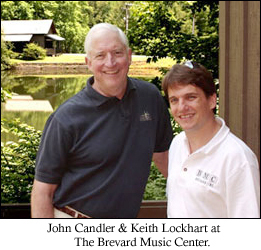 The Brevard Music Center was founded by James Christian Pfohl in 1936, whose vision to establish a music program for talented young people has since matured into one of this country’s finest summer institutes and festivals for aspiring musicians. Nestled in the Blue Ridge Mountains of Western North Carolina, BMC welcomes to its 180-acre campus each year 400 students, representing over 40 states and eight foreign countries, as well as 65 distinguished faculty artists drawn from America’s most prestigious conservatories, universities and orchestras. Each summer, the Center invites an array of celebrated guest artists to appear in performance with the students of BMC. BMC’s unique learning environment–students living and working alongside faculty and guest artists–creates an unparalleled sense of community.